"We've more than adequate notes of Rs 2000 in the system with over 35% of notes by value in circulation being of Rs 2000. There has been no decision regarding 2000 rupee note production recently," tweeted Garg. 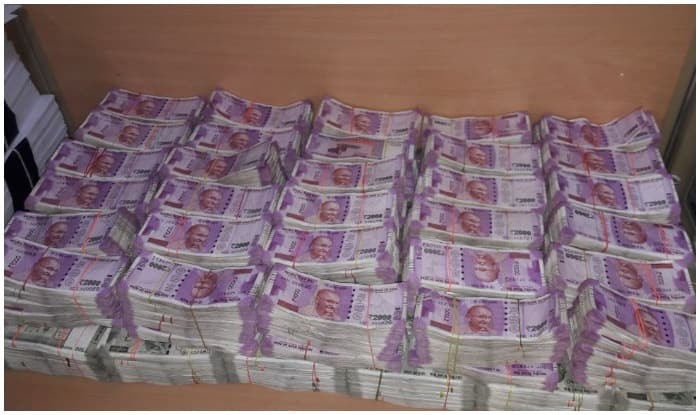 New Delhi: Printing of notes is planned per projected requirement and now, over 35 per cent of the notes in circulation are those of Rs 2,000, Economic Affairs Secretary Subhash Chandra Garg said, a day after it was reported that government has stopped printing them (Rs 2,000 currency note). “We’ve more than adequate notes of Rs 2000 in the system with over 35% of notes by value in circulation being of Rs 2000. There has been no decision regarding 2000 rupee note production recently,” tweeted Garg. Earlier on Thursday, a top finance ministry official had informed that the printing of Rs 2000 banknote, introduced post-demonetisation in November 2016, has been reduced to the “minimum” by the Reserve Bank. Soon after the sudden decision to ban old Rs 500/1000 currency notes by the government, the Reserve Bank come out with the Rs 2000 currency note along with a new look Rs 500 note as part of its massive remonetisation exercise. According to the RBI data, there were 3,285 million pieces of Rs 2000 notes in circulation at end-March 2017. A year after (on March 31, 2018), there was only a marginal increase in the number at 3,363 million pieces. Of the total currency in circulation amounting to Rs 18,037 billion at end-March 2018, Rs 2000 notes accounted for 37.3 per cent, down from 50.2 per cent at end-March 2017.